Experian Consumer Services – Careers That Define “What’s the Next Big (Data) Thing” for Consumers? What could be more exciting – personally and professionally – than being part of a “disruptive” business? Consider taking your career to the next level by joining the Leader that continues to disrupt the competition. As the “disruptor” and market leader we pride ourselves on building new markets, leading the pack through continuous evolution and innovation. It’s a position Experian Consumer Services has enjoyed for more than a decade and we’re always looking for the talent that can help expand that lead. When you’re the leader, it’s always urgent, important and market-changing. We think that defines the true “disruptive” business. Join us and create some chaos for the competition. Drive enterprise-wide technology integration strategy-setting and implementation based on leading-edge industry standards, best practices and comprehensive understanding of business operations. Lead integration efforts across all business areas and client groups including key data and infrastructure components across the enterprise. 2+ years of hands-on experience with Apache Hadoop, Spark and Python. Strong data modeling and design skills. Experience with data migration and ETL tools. Strong experience in translating business requirements to data solutions. Experience in large data environments with highly performant, highly scalable solutions. Experience with Unix/Linux operating environments as well as shell scripts. Strong SQL and PL/SQL development skills. Strong in diagnosing various queries and Improving/suggesting improvements to SQL queries for efficiency, latency etc. Ability to work in a team with highly motivated people. Data analysis, modeling, and integration. Database management, design, and development. Strong debugging and technical troubleshooting skills. Ability to prioritize and work on multiple projects concurrently. A proactive approach to problem solving and decision-making. Collaborate effectively with the database and other technology teams. Knowledge of release management and version control practices and procedures. Experian Consumer Services is part of Experian and the market leader for online credit reports, scores and monitoring products delivered directly to consumers over the Internet. Among its products, the business provides consumers with instant access to their credit report and credit score, plus credit monitoring products that monitor all three national credit reports daily and include identity theft insurance and fraud resolution. Experian Consumer Services has established integrated, co-branded partnerships with leading online financial destinations that provide consumers with a broad range of comprehensive online financial products and information essential to managing one's financial life. 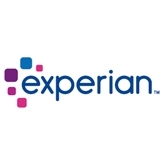 For more information, visit http://www.experian.com.